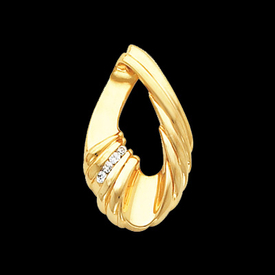 Stylish 14k Gold Diamond chain slide. Diamonds total .045ctw and are SI 1 clarity, G-I color. 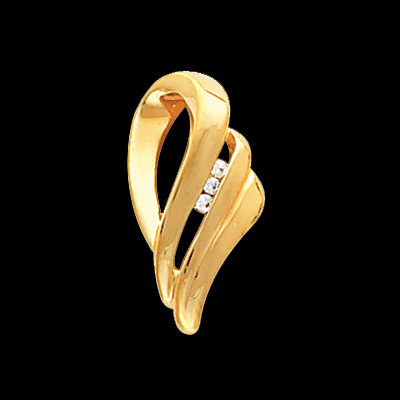 Lovely 14k Gold diamond chain slide. Diamond is an SI 1 clarity, G-I color ¼ stone. Slide measures 30.25mm in length by 8.25mm across. Pretty design 14k White or Yellow Gold diamond chain slide. 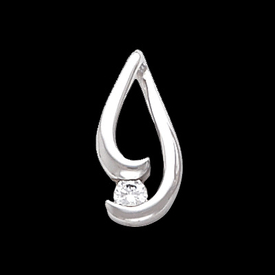 Diamond is an SI 1 clarity G-I color, measures 3.8mm round and weighs .20ctw. Design measures 20mm from top to bottom by 9.75mm across. Beautiful 14k Gold Diamond omega slide. Diamonds total .12ctw, very pretty design. Omega slide will fit up to a 10mm Omega. Special order in 14k White gold or Platinum. This lovely diamond Omega slide measures 28.25mm in length by 17mm across and weighs 6.2grams. 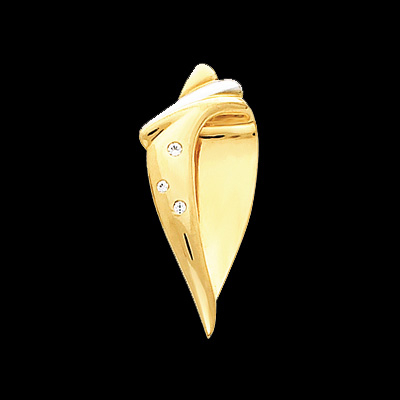 Lovely 14k Two Tone gold shell design diamond chain slide. Slide measures 32.25mm from top to bottom by 15mm wide. Three diamonds total .05ctw. Slide fits up to a 10mm Omega. Slide weighs 6.12grams. Pretty 14k Two Tone diamond chain slide. Slide measures 24.5mm by 17.5mm and weighs 7.03 grams. Will fit up to a 10mm omega chain. 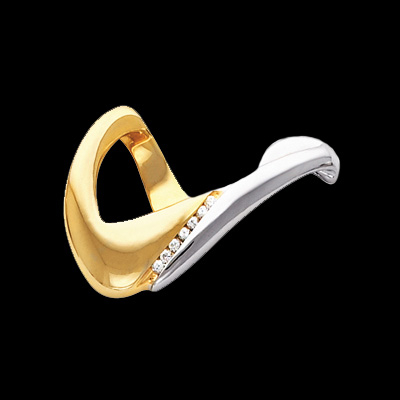 Pretty 14k Two Tone Diamond omega slide. Slide measures 25.25mm by 37.25mm long. Great design, diamonds total .14ctw and are SI 1 G-I color stones. Also available in 14k Yellow or 14k White gold.